Rosemount-No injuries were reported Saturday in a one vehicle accident in Rosemount. 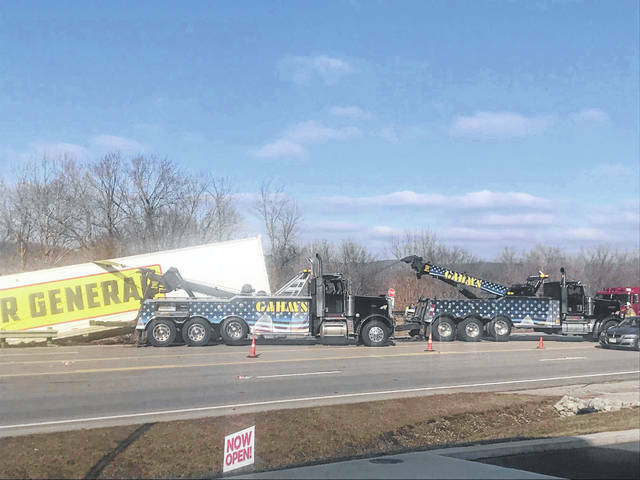 According to the Portsmouth Post of the Ohio State Highway Patrol, the driver of a tractor-trailer was southbound on US 23 when he fell asleep around 6:50 am and drove off the right side of the roadway. He continued through the guardrail and was stopped at the base of the Norfolk Southern Railway tracks. The Blue International truck was driven by Thomas White, 41, of Gilbert, W.Va, and was owned by Hogan Leasing of Missouri, according to the OSHP. The truck was delivering cargo for Dollar General stores. The southbound lanes of US 23 were closed for about 30 minutes while crews removed the wreckage Saturday morning. According to the OSHP traffic was diverted around the crash site via Scioto Trail. members of the Rosemount Fire Department was in charge of traffic control. According to OSHP no other vehicles were involved and no one needed transport for injuries.